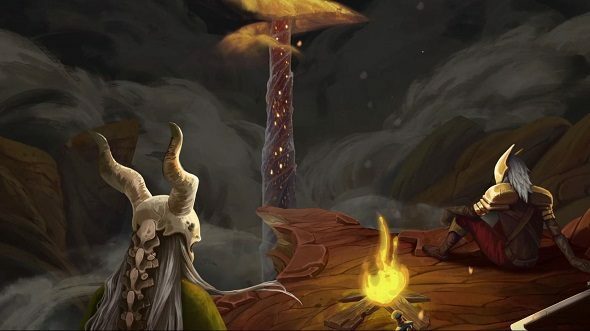 March 19, 2019 Slay the Spire has sold more than 1.5 million copies, thanks in no small part to the Chinese market. Since last checking in, sales of Slay the Spire have risen to over 1.5 million and the game has seen some interesting growth in unexpected markets. In a talk given at GDC, Mega Crit announced that Slay the Spire has seen a sharp rise of interest in China, accounting for nearly half of all sales. The spokesman for Mega Crit stated that the bounty of Chinese players demonstrated the importance of localisation efforts in games, after so many non-English speaking players were left confused when first purchasing the game. He went on to speak about how localising to one area, in this instance China, created a sort of ripple effect, creating demand in “Korea, Russia and Japan”, leading to further localisations down the line. There are some great CCGs out there. Here’s our list of the best card games on PC. It’s hardly surprising that Slay the Spire has seen such a success, however. While it was still in early-access, which ended in January 2019, the game had sold well over 1,000,000 copies – no small feat for game of its genre. Mega Crit has steadily introduced new features to Slay the Spire, including daily challenge runs and a new character, the Defect. The new Custom game mode introduced this week allows players to select mutators for bespoke runs, and Mega Crit says it’ll act as a basis for adding new challenges, such as an Endless Mode and mod support. When Ali reviewed Slay the Spire, he came away extremely impressed. Steam users have been pretty enthusiastic about Slay the Spire too, awarding it an “Overwhelmingly Positive” aggregate review score.